Last night, I went to see Twilight: Breaking Dawn. This movie opened in South Africa about 5 weeks ago, but I waited until now to see it. To give you a little bit of background, I am a Twilight nut. I simply love the story (hate Bella, but love the story). I have read each of the Twilight books two to three times, and I have seen all of the Twilight movies at least 5 times. What I loved about the movies was that they kept so closely to the book, and the characters were so well cast. I hate it when I read a book series, such as the Jason Bourne series, which I was also crazy about, and then a Jason Bourne movie comes out. I go there with great expectations, and what do I find? A completely different story, different plot, and a man with the face of a child, (yes, I love Matt Damon, but not in that role), who looks nothing like Jason Bourne. So, I’ve been burned before, but never by Twilight. My thoughts on the movie, while not as exciting as the previous ones, I enjoyed it more than the book. Why? Well, part of the Breaking Dawn book was told by Jacob, and I am firmly Team Edward, so I didn’t enjoy seeing things from Jacob’s point of view, but that is purely a personal preference. Anyway, the reason why I took five weeks to see Twilight: Breaking Dawn was because I was editing my second novel Crossfire: Fire & Ice. And when I’m working, nothing else matters. Perhaps I am too obsessed for my own good, but when my eyes were open, I was editing, and when I wasn’t editing, I could hear a clock ticking in the back of my mind. The reason for this was that a wonderful thing had happened. Readers had started contacting me via Twitter, via my email, and even on this blog, asking me about the sequel for Crossfire. I promised many of them that the sequel will be out by Christmas, and that was a promise I planned to keep. So here it is. Crossfire: Fire & Ice is available on Smashwords and on Amazon. For those of you who have patiently waited, I say thank you, and enjoy. Posted on December 21, 2011, in Books, Excerpts from Crossfire and tagged a crossfire novel, Breaking Dawn, Crossfire, cycling, Fire & Ice, kidnap, Niki Savage, second book in crossfire trilogy, sequel, Team Edward, Trilogy, Twilight, World Champion. Bookmark the permalink. 9 Comments. Thanks Niki. Reading your blog makes me think that it may be worthwhile reading the Jason Bourne books. The film certainly gave me no incentive to do so. Thanks for commenting, John. I would highly recommend reading the Jason Bourne series. The books have a magic that the film failed to capture. And the books give more of a glimpse about what’s going on in Jason Bourne’s mind, which is the crux of the story. I read the series many years ago, and will list it as one of the best reading experiences I’ve had. 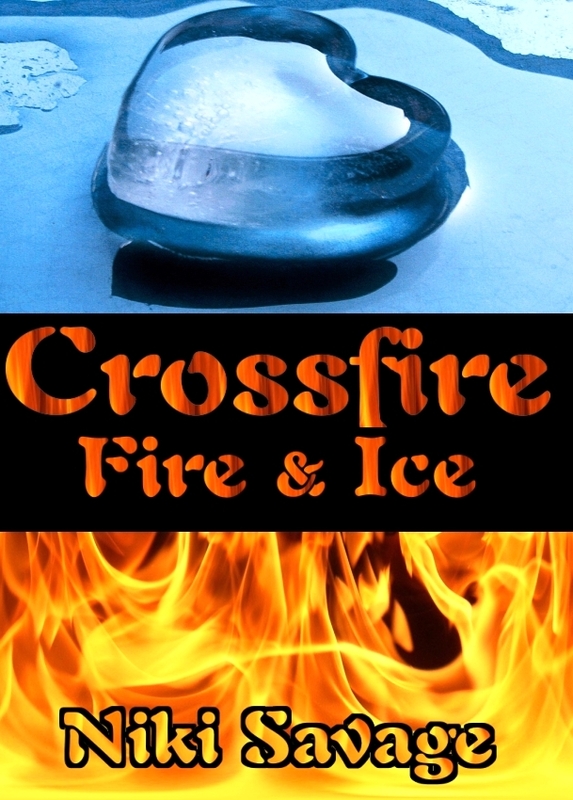 You’ve got me hooked on Crossfire and I’ve just purchased Crossfire – Fire & Ice. Please, please tell me you’re working on the final book as it’s driving me crazy not having all three. Any idea when you will be finished with it???? Sorry for the pressure. Hi Carmen. I’m so glad you’re enjoying the series so far. The good news is that I have completed the third book. I am now busy with editing and polishing. I can guarantee it will be available for purchase in approximately 6 – 8 weeks. It is longer than the first two at 94000 words so a nice one to sink your teeth into. Thanks again for your interest. You’ve got me hooked on the Crossfire series and I’m dying to know when the next and final book to the series might be out. Please do not keep in in agony!!!! Are you ready for Midnight Sun? The movie is scheduled to come out the end of the year and possibly the book. I hope so. Twilight is our smiling common ground.